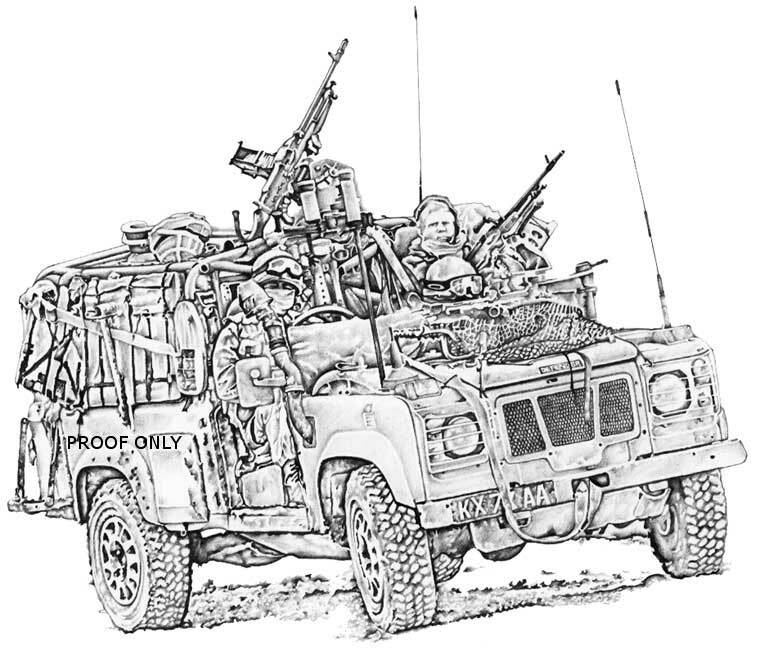 Here is my artwork of a Land Rover Defender WMIK of Salonika Company, 7 Rifles, in Helmand Province, 2010. These images are both available to buy as limited edition (750) prints, signed and numbered by me, at A4 size, and cost £23.50 each including postage and packing. I can be contacted at the moment by email at markwoodsart@yahoo.co.uk though I am hoping to have my own website up and running very soon.